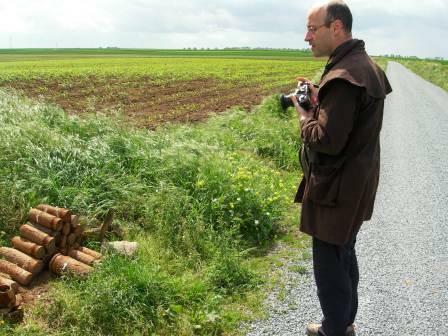 Yves is an author, archivist and guide to the World War 1 Battlefields of France. Yves is committed to Keeping The Memory Alive of those Australians who travelled so far from their homeland to help defend France during the Great War. Yves has established a strong two-way local and international research network between Australians from all walks of life who come to visit the WW1 Battlefields – whether they are researchers, high school students, amateur historians or visitors. Yves is enthusiastic about passing this legacy onto future generations. He has been interviewed on Australian TV, appearing on Channel 9’s Sixty Minutes Program Don’t Forget Me Cobber discussing The Battle of Fromelles and on ABC’s Australian Story – Carve Their Names with Pride. Yves is a regular contributor to DIGGER Magazine and a foundation member of the FFFAIF. Yves is also Secretary and Archivist to the Jean & Denise Letaille Bullecourt Museum Association.